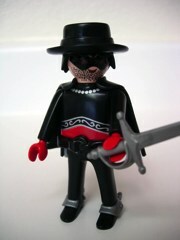 Now there's a cool figure for the cunning El Zorro, go fetch his sword, his horse! 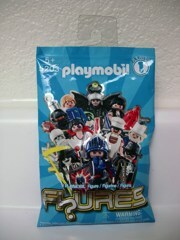 This is another example of the surprisingly international-- and arguably archaic-- entry in Playmobil's line. The hero had a huge place in popular culture in the 20th century, although I'm not sure there's an "and beyond" here. 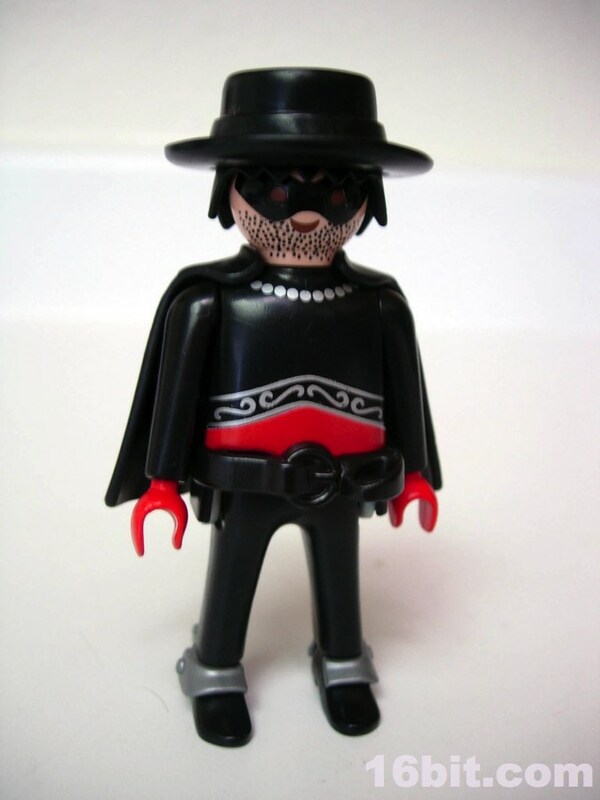 As far as I can tell, this is the first Zorro that Playmobil put out and it's not explicitly labeled "Zorro" anywhere on the packaging. According to some recent cases, the character should be in the public domain since the 1919, although there is a company claiming ownership of the character. So it's not too surprising Playmobil wouldn't go out of their way to brand this as Zorro, but for the sake of this column, it's Zorro. 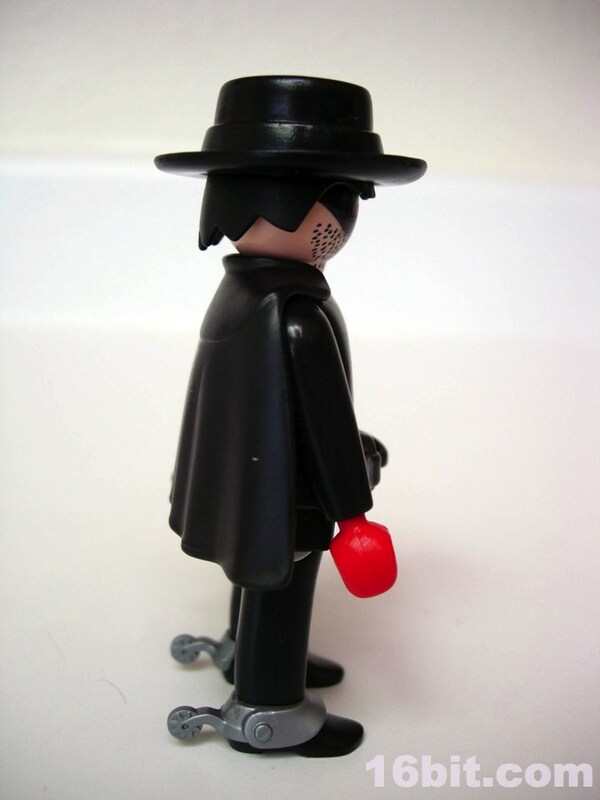 That's what people are going to call it on eBay, after all. 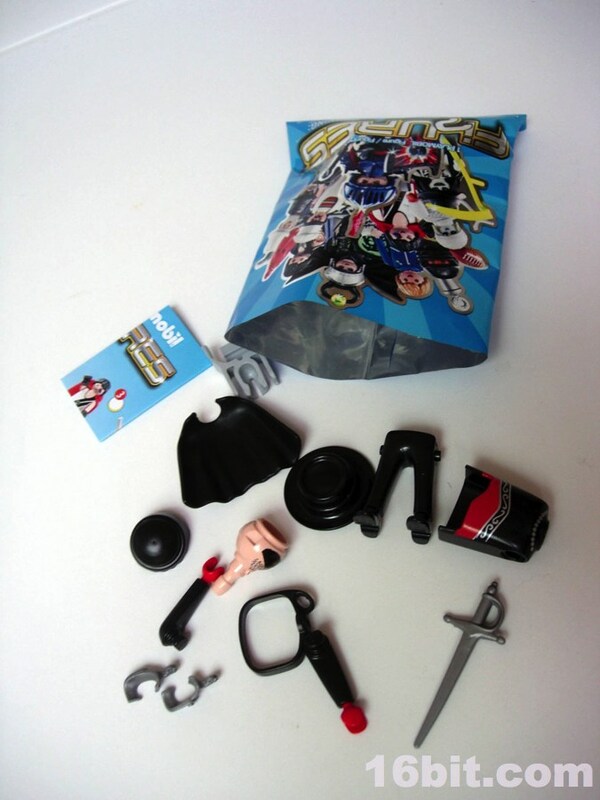 As you can see in the pictures below, some assembly is required-- the sack of parts requires you to piece it together, and the construction is strong enough that you actually need to apply Brute Force to get it apart-- which you do by popping off the head, then the legs, and then everything else comes apart. 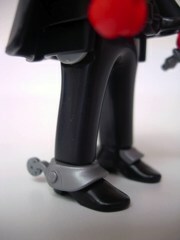 Numerous other pieces snap on, like always-- check out those cool spurs! 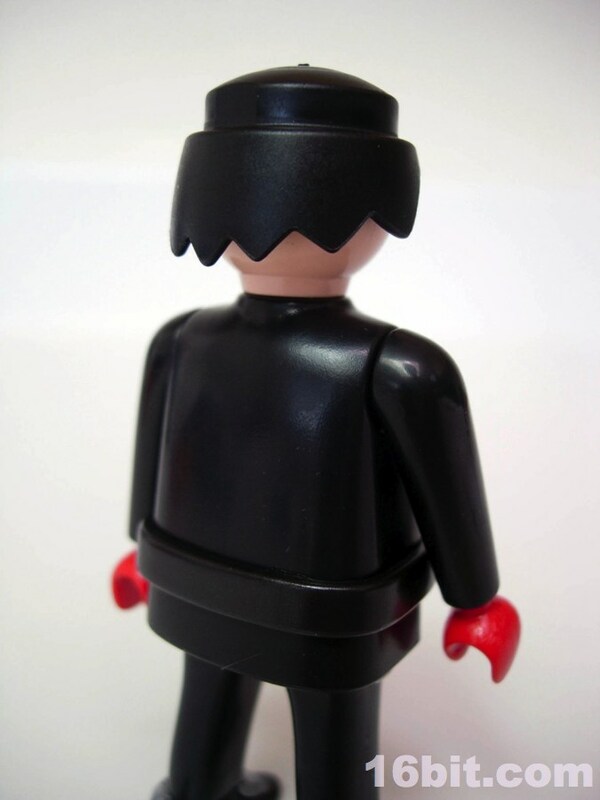 The hat and cape are removable, but the belt only comes off when you can remove his arms. 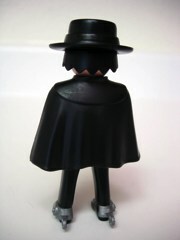 The figure is identified by his cape and hat-- the bags have unique numbers on them, but they aren't identifiers as to what figure is inside. 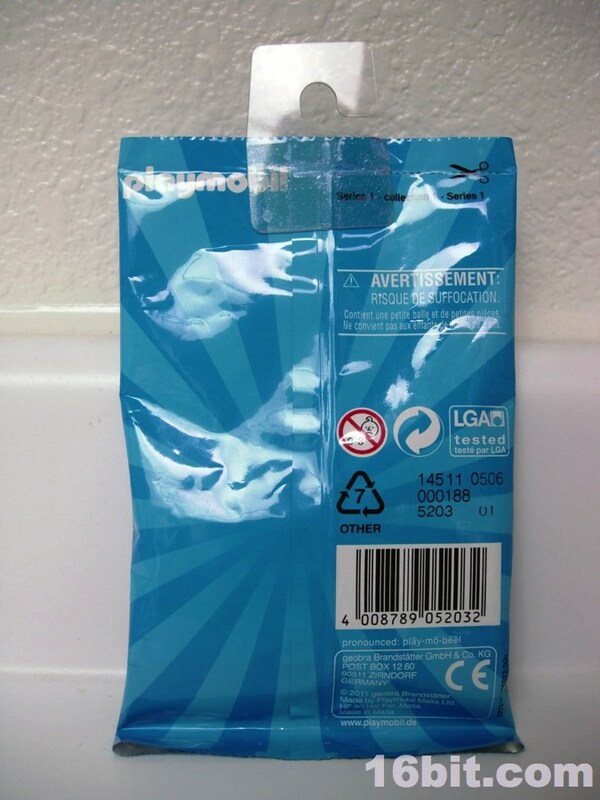 You have to feel up and fondle the bag to see what you get, so I suggest you bring your significant other to the toy store and molest the bags for about 20 minutes. 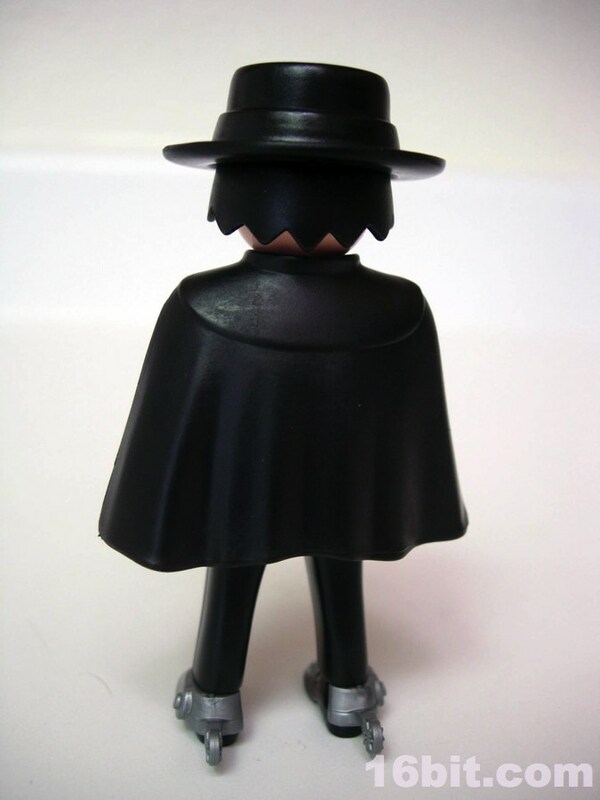 There's another figure with a similar hat, so if you can feel the sword or the cape too, that should help things. Unlike Uncle Sam, Zorro has some fine detail painted on his person. There's not a lot to the sculpt here, but paint was used to make the chain for his cape, the detail on his shirt, his beard, and his mask. Pretty much everything else is molded plastic. 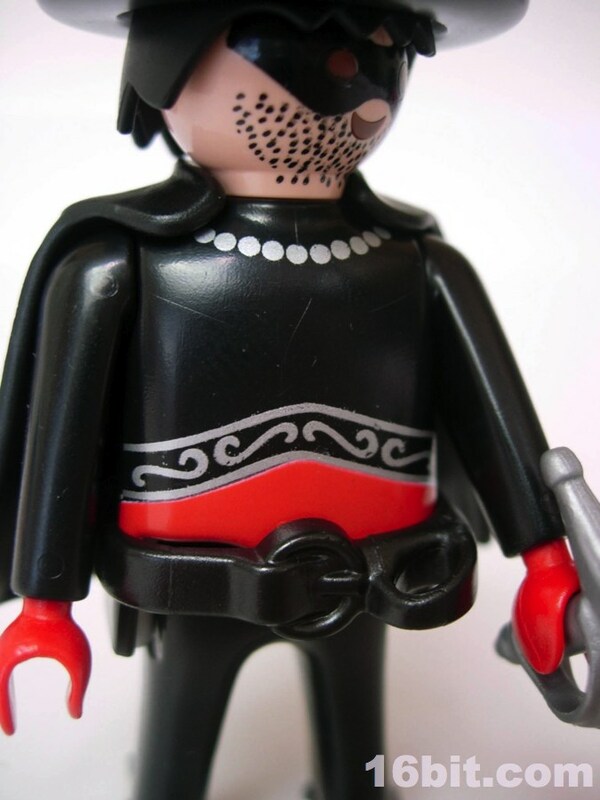 The beard looks a little iffy in spots, but only if you get up really close-- and let's face it, with Playmobil you never have the chance to examine the figure's paint job prior to purchase unless it's already open anyway. 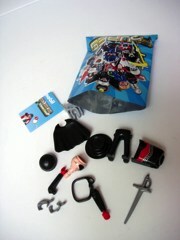 The figure's movement is good, but his interaction with his accessories is only adequate. The sword doesn't quite fit into the belt loop, and the cape doesn't quite stay on as well as I would prefer-- it pops off a little bit if you nudge it in the wrong direction. 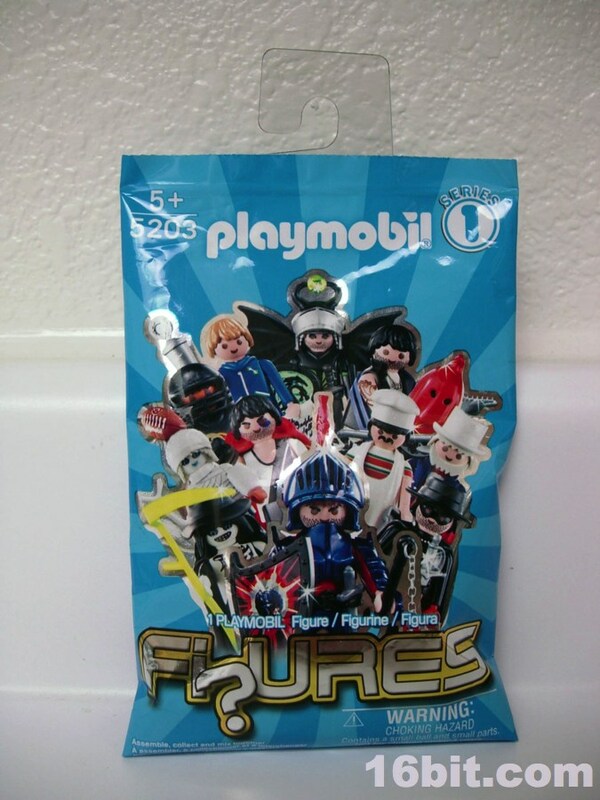 It's by no means as bad as some action figures, but I always expected Playmobil or LEGO capes to be sturdier. It's still good, though. So, I like it. Much like the Robin Hood and Sherlock Holmes figures I have missed, this is another great adventure hero rendered in the Playmobil style which, down the road, will likely have some degree of demand for it. As such, why wait? Track it down now if you can, three bucks is a great deal. 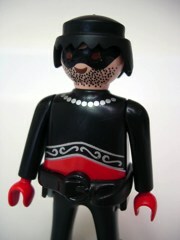 I only wish he had a horse... but Playmobil makes horses pretty easy to get.